PRE-RELEASE OFFER UNTIL THE END OF NOVEMBER 2011. RISING STORM is the most comprehensive of the WW2 CONVOY series books so far. It covers the period September 1939 to December 1940. A period of surface raiders as well as U Boats. Combats include coverage of German attacks on early UK coastal convoys. French Navy prior to the 1940 Armistice. Sections include a painting guide for ships in the early part of WW2 including not only descriptions but also colour illustrations. A guide to merchant ship types and warships of the era. Detailed cover of the capabilities of each navy involved. Explanation of early WW2 anti submarine weapons and their use. Full combat resolution charts to make it a completely stand alone game. Rules enable not only anti submarine warfare but air and surface combat. Rules can be used with any ship scale. 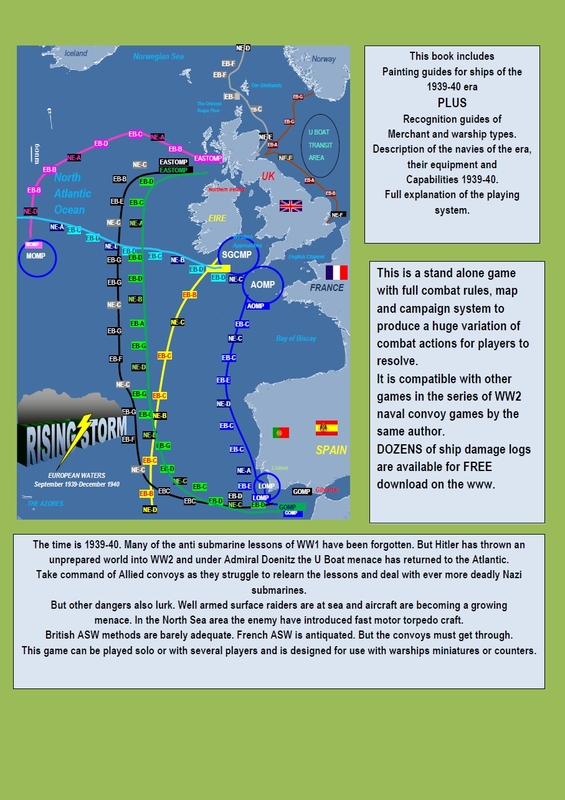 Players can use the campaign system with other naval rule sets if preferred. A large fold out map that can be removed from the book and laid out on a table to assist with game play. Postage AIRMAIL to most of the world $20.00. Postage Australia and New Zealand $10.00. TO PRE-ORDER at $32.50 (AUD) please send payment plus postage via PayPal to mgwright@bigpond.net.au or email me for a PayPal invoice. PRE-PUBLICATION OFFER ENDS AT THE END OF NOVEMBER 2011. Books will start shipping late in November 2011. Price has been kept as low as possible without reducing colour illustrations, lift out map and paint guides. Unfortunately there is nothing I can do about postage! FOR INFORMATION. 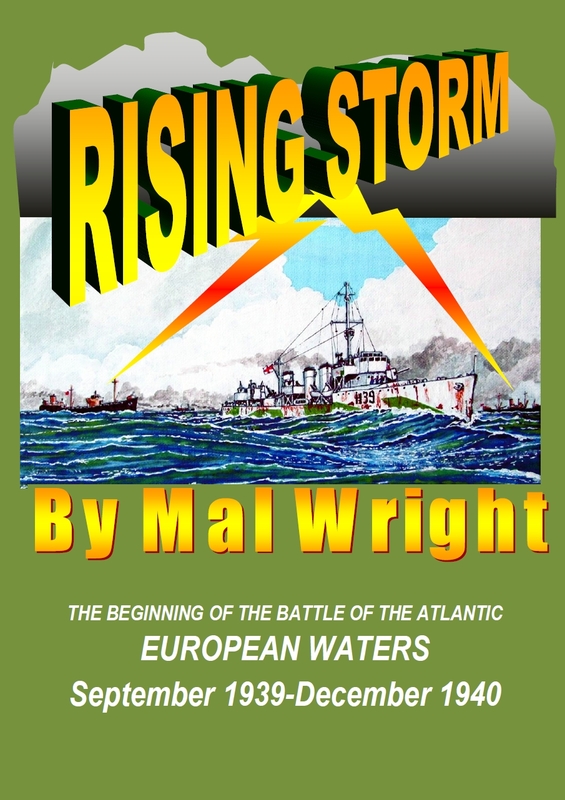 The first of a series of painting guides for WW2 Warships is in preparation. These will cover many individual ships through their WW2 service and change of camouflage schemes etc. The series has been many years in research and preparation. It is especially designed to enable wargamers and ship modellers to find colour plates of large numbers of ships they wish to paint.